Eddie Bravo vs Royler Gracie - who will win the rematch? 10 yrs ago, Eddie Bravo caught Royler Gracie in a triangle choke. Many said Bravo was lucky. 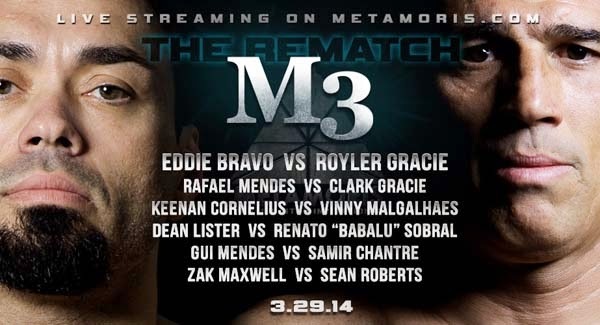 Today at 4pm PST, at Metamoris 3 - the highly anticipated rematch will finally happen! Below is the full fight of their first meeting. Do you know who I think will win? The fans will win! OK, how do you see the rematch going down?